On a cold November night in 1959, two men intent on robbery committed a most heinous crime: they stealthily entered the home of the Clutters, a well-to-do family living on an isolated, prosperous farm, and slaughtered the family in cold blood – all for roughly forty dollars and change. The senseless murders of this well-liked family rocked the community, and for seven weeks, the folks in this rural Kansas town lived in fear and suspicion of one another, convinced that the killer or killers had to be someone among them. Within days of the Clutter family funerals, young Truman Capote travelled to Holcomb after having read a brief newspaper account of the slayings. He wanted to look into the story himself, thinking it might provide material for a non-fiction endeavor. He ended up staying for a long period of time, becoming intimately acquainted with the town and its citizens, and undertaking extensive interviews and research (with the help of his close friend, Harper Lee). What resulted is this non-fiction masterpiece which earned Capote fame and fortune. While the crime itself is recounted in chilling detail, what is most disturbing is the apparent randomness of the crime, and the far-reaching repercussions. And while the slaughter of an innocent, prominent family was tragic, what was equally tragic was becoming acquainted with the killers. The question of whether certain people are born monsters or made monsters by circumstance is unavoidable, and despite feeling revulsion for the terrible crime committed, I couldn’t help but feel extreme pity for the killers – especially Smith, whose entire life from birth was marked by brutality and neglect. I’d never read anything by Capote before this, and what a beautiful writer he was. 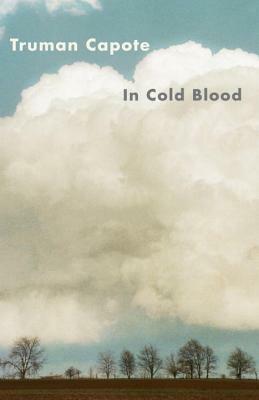 After finishing In Cold Blood, I read his short story, A Christmas Memory, and his gift with prose is just as apparent in that. I’m looking forward to reading more of his work.